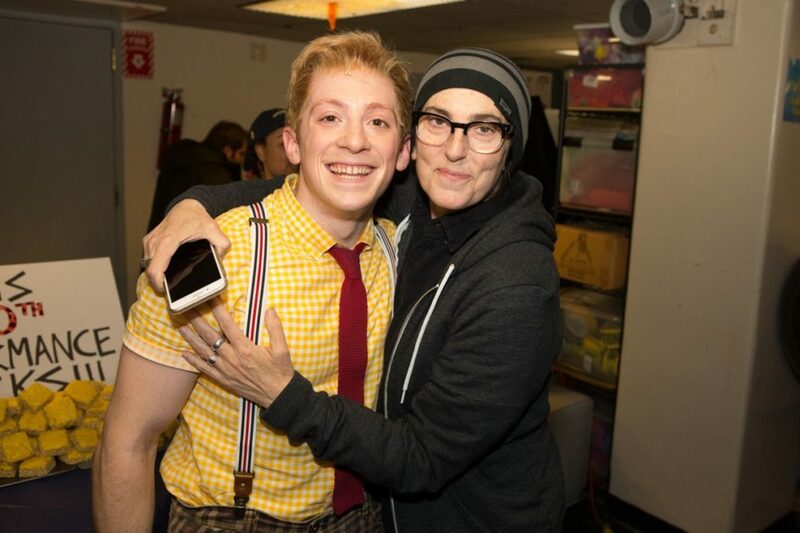 It's always an incredible, exceptional, extraordinary day in Bikini Bottom, but March 4 was a particularly swell celebration for the SpongeBob SquarePants cast at the Palace Theatre. Stars Ethan Slater, Danny Skinner, Lilli Cooper, Wesley Taylor and more, celebrated 100 performances of the Tina Landau-directed musical. Cake is usually the treat of choice for Great White Way milestones; however, leave it to the imaginative SpongeBob SquarePants team to switch things up. The company enjoyed bright yellow-frosted Rice Krispies, an adorable nod to the show's central, spongey character. Congrats to the SpongeBob SquarePants family on 100 performances! Fans can catch many more at the Palace Theatre. 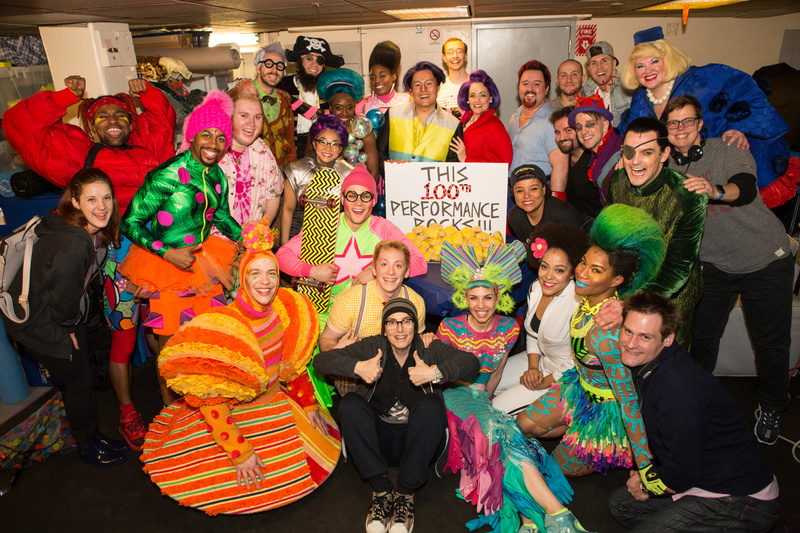 Congrats to the cast of SpongeBob SquarePants for 100 performances on Broadway!